Cuddly koalas and barrier reefs. But one thing that many people outside of Australia should learn more about is the country’s surprisingly healthy cuisine. One item that really makes Aussie food so unique is the island nation’s love of beetroot. Today we’ll discuss why Australians are so crazy about this overlooked veggie and why you’re probably not eating enough of it. Beetroots are, as the name implies, the root of the beet plant. In North America, they are sold in stores as table beets or simply “beets”. 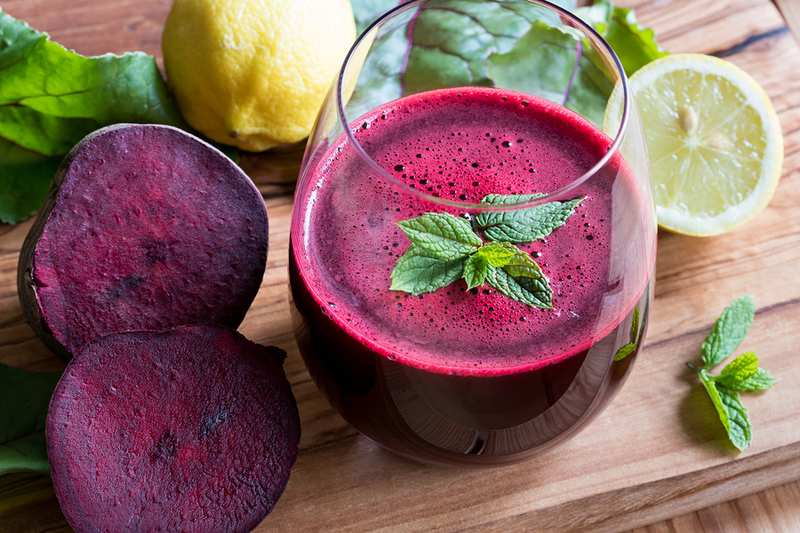 These are the dark red beets which have become popular in recent years as an ingredient for juicing and developed a reputation as a superfood. In Australia, beetroot is frequently used as an ingredient in salads, side dishes, sandwiches, and burgers. Their rich and potent taste makes them an excellent addition to many different recipes. While visitors from other countries might be perplexed at the idea of putting beetroot on a burger, once they bite in, the majority conclude that it really does work very well. Until quite recently, beetroot was an often overlooked vegetable in other countries, overshadowed by the superfood superstars like kale and blueberries. But now people are around the world are learning why this humble and inexpensive vegetable makes such a beneficial addition to their diet. The Benefits of Eating Beetroot. 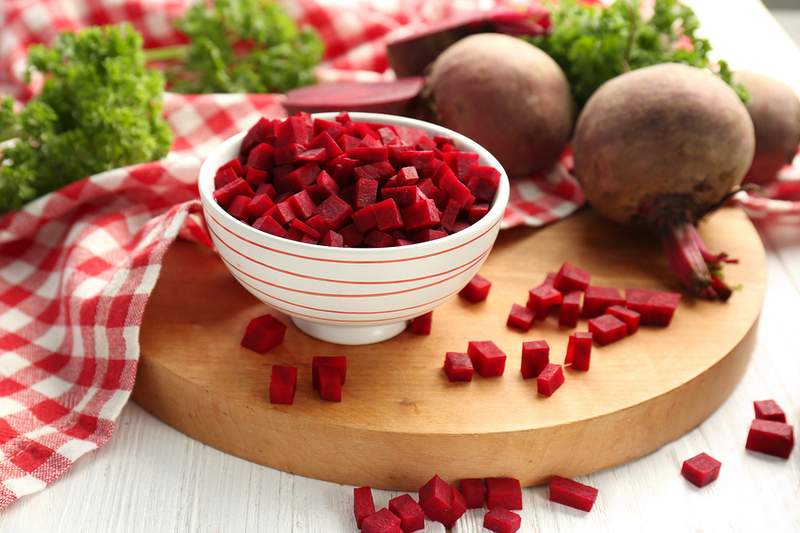 Beetroot is filled with health benefits whether you chose to eat them raw, cooked, or pickled. 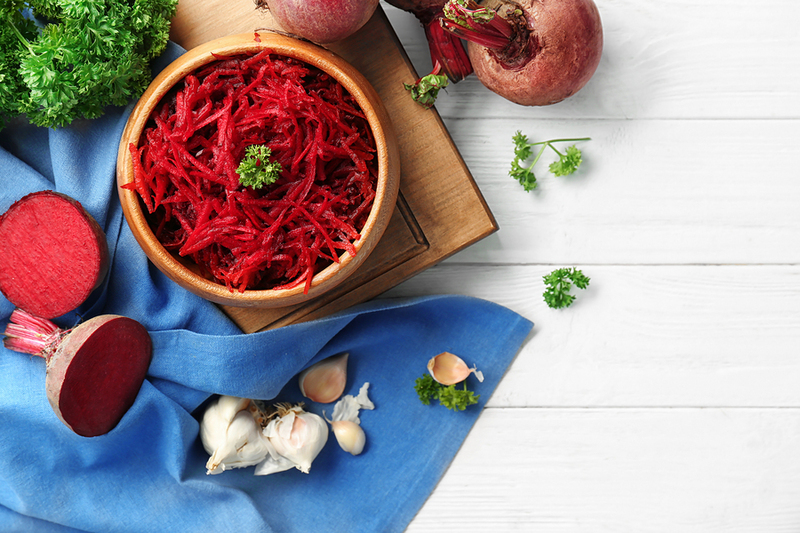 Beetroot that is pickled is especially good since the fermentation process will add probiotic bacteria which will strengthen your gut biome and improve digestion. But what, specifically, can you expect from eating more beetroot? Heart disease and high blood pressure are some of the most common health problems among people living in industrialized countries today. Luckily, beetroot is here to the rescue. A study published in Hypertension, a medical journal dealing with health issues and findings pertaining to high blood pressure yielded some interesting results. The researchers found that participants who drank 500 ml of beetroot juice daily experienced a substantial lowering of blood pressure. Subsequent studies produced similar findings. High blood pressure is linked to an increase risk of deadly cardiovascular diseases like heart attack or stroke, as we well as other health problems. 2. Beetroots help reduce inflammation. You’ve probably heard the term inflammation before, and you probably know that it’s bad, but what does it even mean? Well, inflammation is your body’s natural response to injury, or in some cases, disease. The problem is that the modern, sugary diet contains a lot of unhealthy compounds that cause inflammation to occur at inappropriate times. Chronic inflammation is a contributing factor to many different diseases, including cancer. Once again, it’s a good thing beetroots are here to save the day! Beetroot contains choline, a nutrient also found in eggs which has numerous benefits. 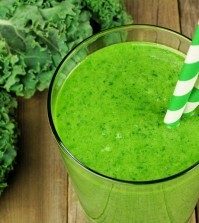 It helps ensure healthy muscle movement, brain functioning, and memory, and it helps you get deeper, more restful sleep. Choline also helps reduce inflammation by strengthening the membranes of your cells, and stops them from producing the inflammatory response when it is not necessary. 3. Packed full of nutrients. As if choline wasn’t enough, beetroots are also rich in vitamin C which boosts your immune system, and minerals such as manganese and potassium. There is so much nutritional goodness packed into each beet that it’s nothing short of scandalous that people have taken so long to recognize the benefits of this common root and assign it in its rightful place in the superfood hall of fame. The next time you’re deciding which vegetable to add to your meal, consider opting for some beetroots. They’re cheap, plentiful, and packed to the brim with nutrients. There is just no excuse to not be eating like they do down under.